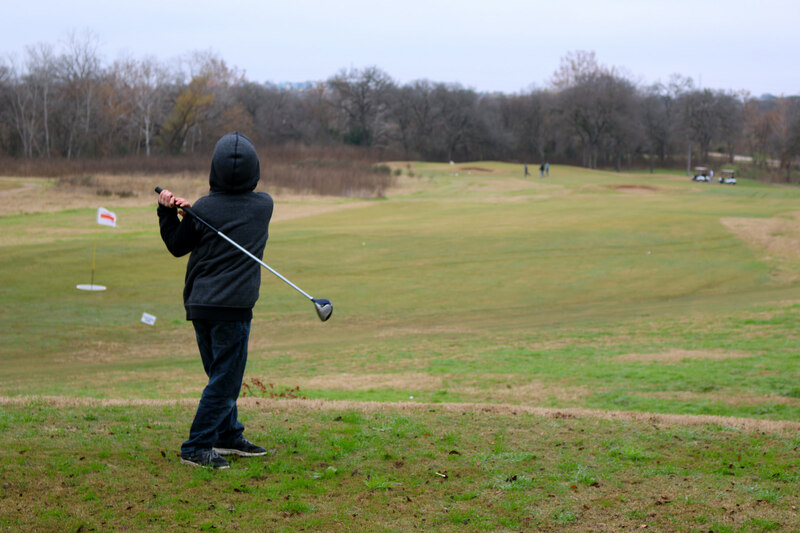 With the exception of perhaps a couple weeks in the middle of winter, golf is a year-round sport in Austin. There are so many great courses in the area, but how do you keep your game in peak condition without breaking the bank? Well, the trick is to play some of Austin’s cheaper courses. Here are five of the best values you can find in and around Austin. A golfer stands on the No. 2 tee box at Texas State University Golf Course. Photo: Jenni Roberts, courtesy Jenni Roberts Photography. The Texas State University Golf Course is a hidden gem in San Marcos. 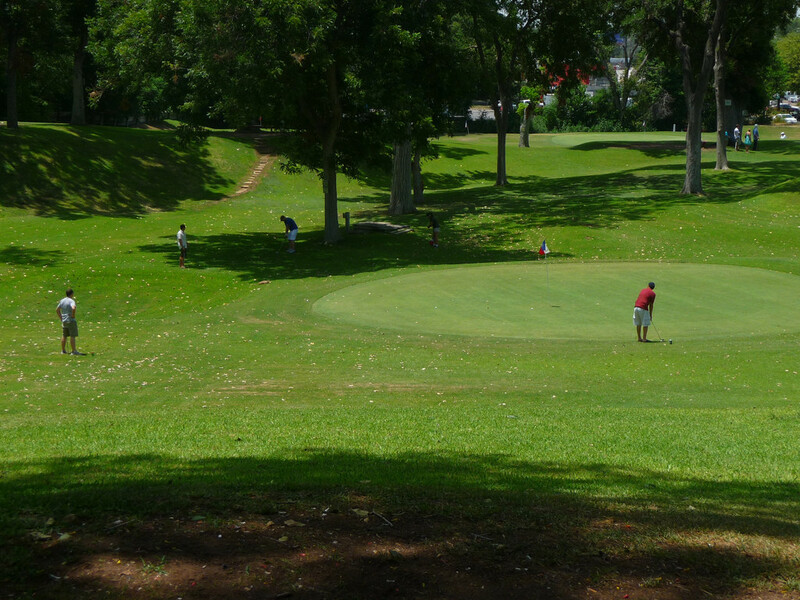 It is a little rough around the edges, but it offers a laid back golf experience. You’ll meet locals and students who just want to get outside and have some fun. Though there are no par-5’s on this nine-hole course, but you can use every club in your bag. The course forces golfers into some interesting choices. No. 4 is a the 310-yard par-4 daring golfers to pull out the driver on a narrow fairway with water at about 200 yards. No. 8 is also a risk-reward hole. Hit your tee shot over water and tall trees then see how close you come to the concealed green. The course’s signature hole is No. 2. This 173-yard par-3 forces you to carry water and thread the needle between two rows of massive cypress trees. Golfers chip onto a green at Butler Park Pitch and Putt. Photo: Flickr user misty_kay, creative commons licensed. 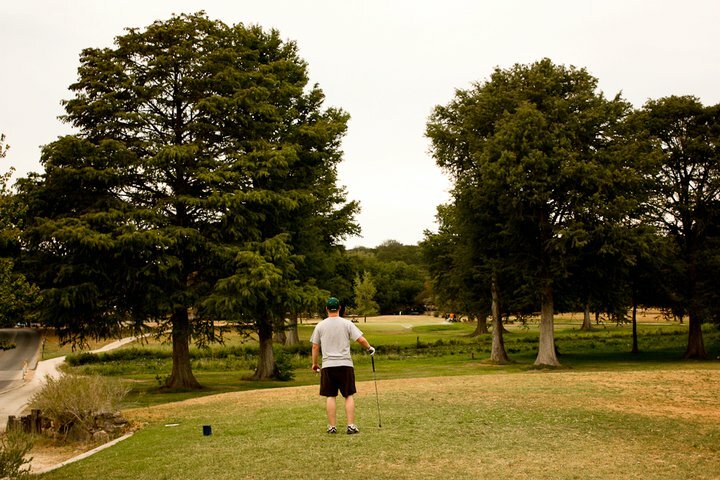 Butler Park Pitch and Putt is a nine-hole, par-3 course right in the middle of Austin. Located a block east of Lamar Boulevard just south of Ladybird lake, this course requires you to have three things — a ball, a wedge and a putter. And you can even get all those things in the pro shop. This course has something to offer both the brand new golfer and the experienced player. 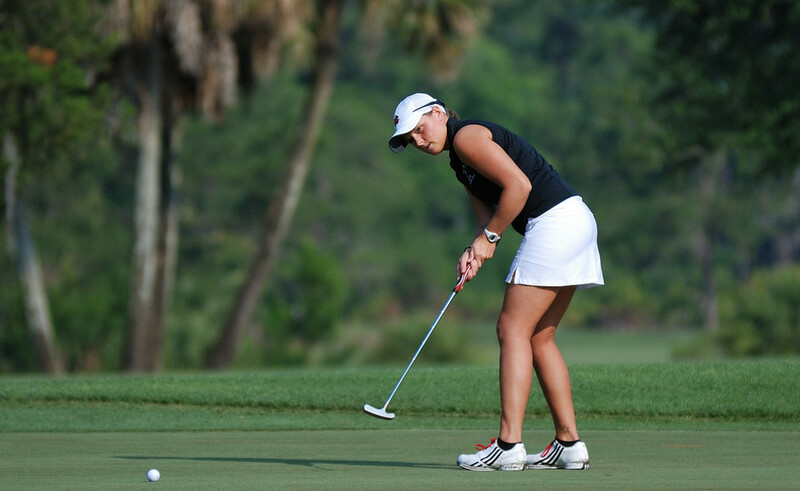 Newbies can try the game in a no-pressure environment, and veterans of the game can hone their short game skills. You can pay for one round, two rounds or all day. Get there early on weekends because this place is hopping by mid-morning. And don’t park along the first hole. You may find your windshield in your front seat. Photo: Flickr user Wojciech Kulicki, creative commons licensed. Bluebonnet Hill Golf Course sits in northeast Austin on Decker Lane. It is a bit more expensive than other courses on this list, but it is well worth the money. This well-manicured course has reasonable weekend greens fees, inexpensive weekday rates and friendly staff. You have to wait until the last minutes of your round to get to this course’s signature hole. No. 17 is a 195-yard par-3 with water from the front edge of the tee box almost all the way to the green. The green is wider than it is deep, so you can grip it and rip it with a long iron or hybrid. The real beauty of this hole is the view of Decker Lake from the tee box. Arrive early for your round to take advantage of the picturesque driving range and two large practice greens. A child golfer tees off at a winter camp at Harvey Penick Golf Campus. Photo: Flickr user First Tee of Greater Austin, creative commons licensed. The Harvey Penick Golf Campus is home to The First Tee of Greater Austin, a nonprofit “dedicated to providing young people with educational programs to build character, instill life-enhancing values, and promote healthy choices through the game of golf.” The campus includes a nine-hole course and a three-hole practice course. 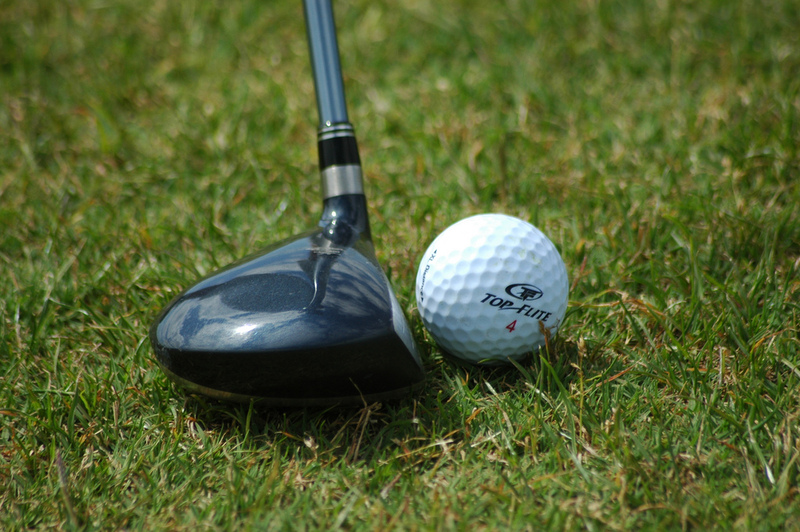 Be sure to call for a tee time because the campus holds many events including footgolf tournaments. 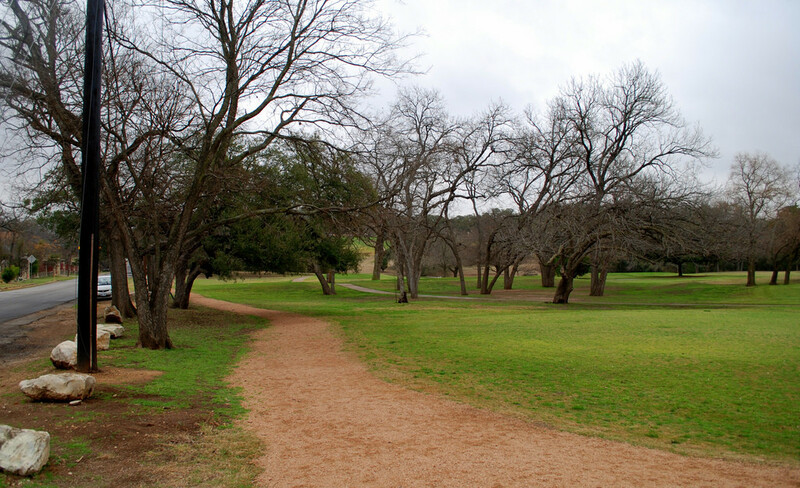 A jogging trail runs along the perimeter of Hancock Golf Course. Photo: Flickr user Joe Wolf, creative commons licensed. Hancock Golf Course has a rich history. Austin golf wouldn’t be what it is today without good old Hancock. Countless area golfers took their first swings here. This nine-hole course used to be the front nine of the Austin Country Club where legendary golf teacher Harvey Penick taught lessons. Hancock Center was built on the club’s back nine. Elevation changes are the challenge for this course, especially on the course’s lone par-5. Most golfers hit a driver down the fairway and chip a second shot to a large landing zone. The third shot is over water to a green several stories up a hill. Knowing your distances and factoring in the elevation change are paramount to success. The most nerve-racking hole is the par-4 No. 5. The green is separated from the practice green by just the cart path. Be ready to yell “Fore!” at the slightest mishit. You also have to watch for walkers and runners on the trail around the perimeter of the course. Featured photo: Flickr user North Central College, creative commons licensed.